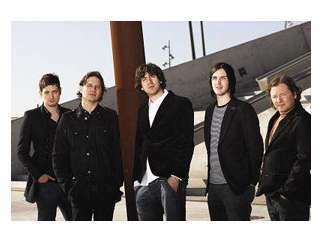 The Northern Irish outfit Snow Patrol became a critical success and fan favorite in the U.K. with the release of 1998's "Polar Bear" and "When It's All Over We Still Have To Clear Up," which came out in April of 2001. Their song 'Chasing Cars' rose to popularity after it was featured in the second season finale of "Grey's Anatomy." Led by Gary Lightbody, Snow Patrol are gigging in support of "Wildness" (released via Republic/Polydor), their first studio album since 2011.